Thank you for being a reader of Get Cooking Simply. Rita and I wish you a wonderful thankful day! Lay out the decorating ingredients on a cutting board, and provide small knives for everyone to work with if you have a group. Prepare cornbread batter as package directs. Stir 1/4 cup raisins into batter. Fill muffin cups 3/4 full. Bake muffins according to package directions. Cool. * Or add raisins to your favorite cornbread recipe. 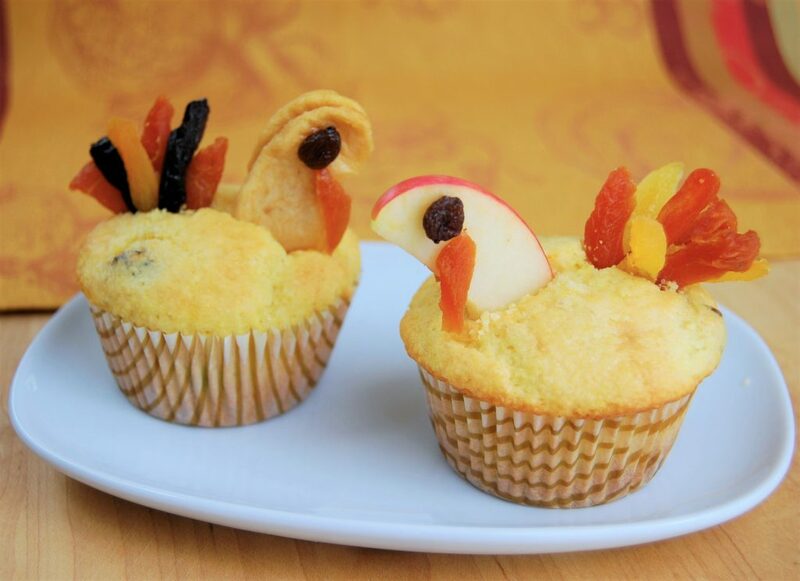 Make two slits in the muffin, one slightly larger for the feathers. 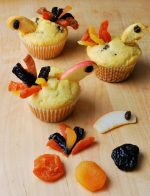 For tail feathers, cut strips of apricots and prunes. Pinch ends together. Insert into the larger slit and arrange fan-like, using toothpicks if needed for support. 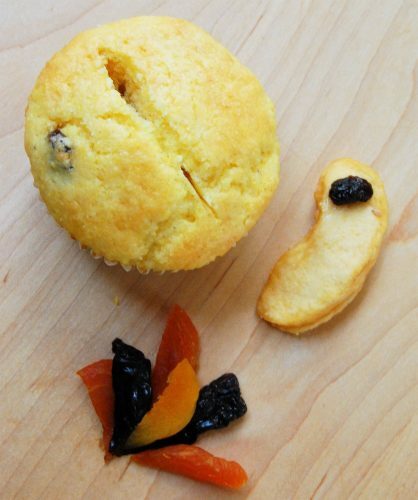 Use a dab of peanut butter to stick a raisin to a fresh or dried apple. Don’t forget to add a thin slice of apricot to the neck for the ‘wattler’!